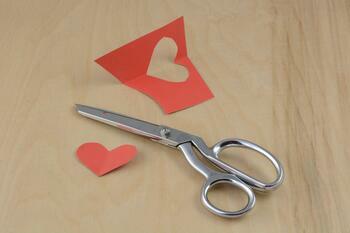 Is your employee recognition programme too much like Valentine's Day? I’ve decided that this is my year of being rebellious (it better be as I’m co-writing a book on employee engagement with Glenn Elliott titled “Build it: A Rebel Playbook for Employee Engagement”). As you can imagine, that involves challenging a lot of things, including (today at least) Valentine’s Day. Why is it that this holiday sparks so much in so many people? Challenge: Why should it only happen once a year? I don’t know about you, but if my husband only told me once a year that he loved me, well quite frankly I’d divorce him! Love (and recognition) needs to happen all year long if you want it work. As Stephen Covey says “you have to water flowers if you want them to grow", so you need to water your flowers (loved ones and employees) throughout the year and not just on the 14th February. For recognition this means looking at the timings of when your employees should and need to be recognised. Are there what I call “touch points” both formal and informal throughout the year that have a natural connection to recognition (e.g. joining the company, celebrating an anniversary, achieving a specific KPI, living a company value, going above and beyond to help a peer, etc)? Don’t wait for monthly, quarterly or annual performance reviews to recognise an employee, do so as close to the touch point as possible. According to the Gallup survey, employees who received recognition for doing good work within the last seven days had 10-20% higher productivity. So get out your watering can and water those flowers as often as possible to make them grow. Challenge: Why should we only tell one person? You may have one person that is that “special one,” but I’m sure you also have many more family and friends that you want to tell how much you appreciate and value them. So why then do most people only send one person a Valentine’s Day card or celebrate the day with? Should we spread the love wider? When I was growing up in the States, a Valentine’s Day tradition was to buy or make little cards for each and every child in the class. We’d decorate shoe boxes, and classmates would one by one put their cards in your box. It was so exciting bringing the box home at the end of the day and reading the notes from your friends. Yes it probably was done for commercial reasons, but I didn’t care, I loved the feeling I got from reading all of the sweet messages from my friends! The same is true with recognition. Recognition needs to be for everyone that you appreciate and value, which means it should be for all your employees. Why would you want to leave anyone out? Does everyone need and deserve to have that special feeling? And besides going to everyone, it should also come from everyone. So not just from the leadership team or managers, but from peers as well. Lots of studies have shown the power of peer-to-peer recognition, proving that it can be just as powerful as recognition from managers. Challenge: Does everyone really want chocolate? Believe it or not, not everyone wants chocolate! It may be because they don’t like it, they’re allergic or maybe they’re still on their New Year’s resolution diet. Regardless of their reason, you don’t want to give someone a gift that they’re not going to value. Instead, pick the right gift and it’s something that’s going to have a meaningful and lasting memory. My absolute favorite Valentine’s gift from my husband was a digital heart he designed and built for me that said I love you. Now it wasn’t the fanciest thing, but the fact that he came up with the idea and built it for me made it that much more special. When it comes to recognition the same is true. If you rely on just one kind of award, you’ll miss out on those that don’t value it, and even for those that do love chocolate, they’ll get sick of it if it’s given out too often. This is especially true as we deal with the challenges of multi-generational and multi-cultural workforces. Variety is the spice of live as they say, so find as many ways as possible to introduce variety through non-cash awards (e.g. eCards) and cash awards (vouchers, experiences, etc.). Argentina: Argentinians take a week to celebrate the occasion. In addition to February 14th, they have an additional week in the summer that they celebrate “sweetness week”, where lovers and friends exchange candies and kisses. This week typically ends with “Friendship Day" so everyone is shown appreciation. Denmark: Men give women gaekkebrev, a “joking letter” which consists of a funny poem or rhyme. This is written on intricately cut paper and signed only with anonymous dots to denote the admirer. If the woman who receives the gaekkebrev can correctly guess the sender, she'll receive an Easter egg later that year. Germany: Germans still gift flowers, chocolate and cards, but there's one other addition: a pig. The pig represents luck and lust, and can be given as a picture, as a miniature statue, in chocolate or however they wish. 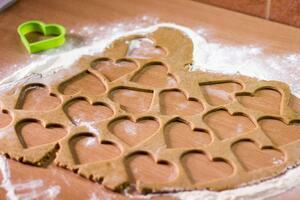 They also prepare big ginger cookies in heart shapes which contain romantic phrases and messages like “Ich liebe dich” (I love you). South Africa: South African women give a new meaning to wearing their hearts on their sleeve - it's customary to pin the names of their love interest on their shirtsleeves. In some cases, this is how South African men learn of their secret admirers. 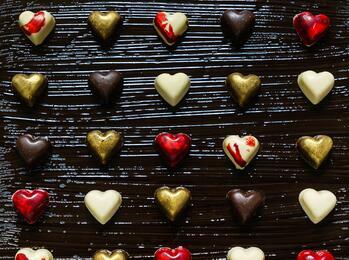 South Korea: The gift-giving starts on February 14th, when the women woo men with chocolates, candies and flowers. A month later on March 14th, men one-up the women by not only giving their sweetheart chocolates and flowers, but also a gift. So in ending let me say two things. First, go out there and be a rebel when it comes to recognition. Don’t be afraid to find your own way, but remember: do it often, include everyone and have variety with your awards! Second, in case my lovely husband is reading this blog, please know that just because I challenged Valentine’s Day doesn’t mean that I don’t want (and expect) to celebrate it. Happy Valentine’s Day and I appreciate you 365 days a year! 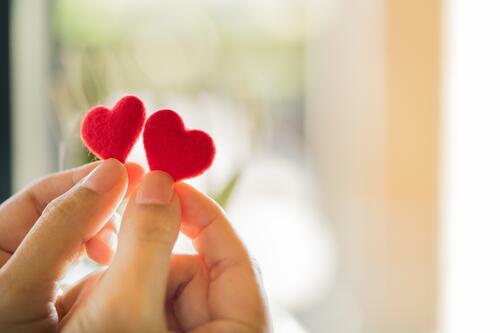 How are you recognising your employees this Valentine's Day (and every other day, too)?